I wrote a few months back about a strange public speaking rule I had heard that said never to thank your audience at the end of a presentation. The gist was that the audience should be thanking you for sharing your brilliance and wisdom with them. Well, I think that rule is ridiculous, and said so in my post. I always thank my audience at the end of a presentation, period. However, I do not thank my audience at the beginning. If you're looking for a way to send your audience into dreamland from the first moment of your talk, this is it. "Thank you for having me. . I'm so honored to be here at the 55th annual meeting of the yada yada yada. . ."
One of the most critical moments in a presentation is the very beginning. How you walk onstage, ground yourself and begin your talk sets the tone for the rest of the presentation. It's the audience's first impression of you. Do you want to put them to sleep, or do you want to wake them up? I'm not adventurous to the point of crazy wigs, clown noses or musical instruments; I like to start out with a question or quiz that gets the audience's attention and makes them laugh. You can start out with a pithy quote, a moving poem, a startling statistic or heartwrenching story. The key to a great opening is to get the audience emotionally involved from the start. If they're laughing, teary-eyed, or dumbstruck, they're engaged - and you've paved the way for a successful presentation. 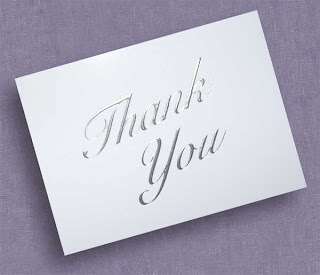 When I do keynotes, I do have the occasional bad habit of starting with a "Thank you." Sometimes I thank the person introducing me for a wonderful introduction. Other times, I do tell them how much of an honor it is to be speaking to their group. But, I do it in a sincere way and then say something about the group to indicate that I've done my homework and I've researched my audience. It's kind of my way of connecting with them at the beginning. But I agree wholeheartedly about thanking the audience (and even worse, telling them to give themselves applause) at the start as if one is simply going through the motions.